Looks: Very dense dark green buds with dark orange hairs. Some purple hues sprinkled throughout, and absolutely coated with resin. Smell: Straight up cheeze-whiz. While growing it smelled a lot more fruity, but after a month of curing, it morphed into this absolutely rank cheese and skunk smell. Take one whiff, and you know this bud means business. Taste: Inhale tastes cheesy and spicey, exhale is very earthy and hashy. Effects: The first time I smoked this, it scared the hell outta me. Felt totally removed from my body, almost like a half-way OBE. This mellowed out after about an hour, and was much more pleasant. Very cerebral and spacey – DO NOT drive on this one, you will run red lights (though I hope you don’t ever drive after smoking bud – take care out there folks). Pretty good appetite stimulation, and worked really well for my stomach pain. Not sleepy at all, so don’t use it late at night as it will probably keep you up. Made music EXCELLENT! Grower’s Notes: This one yielded more than anything else in my garden. The buds were heavy and the stems kind of weak, so tying the colas up was a must. I had buds bending the branches over after only 5 weeks. 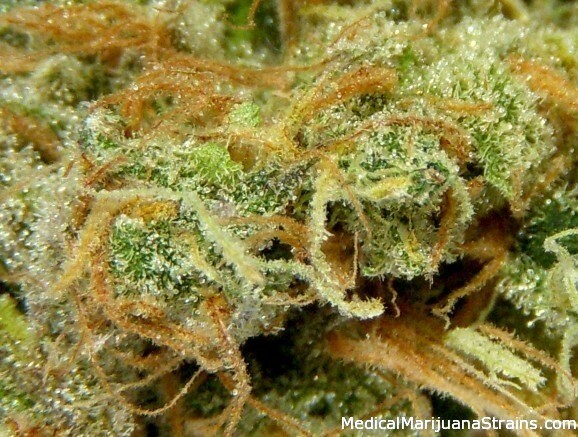 Although this is sativa dominant, the plant grew very much like an indica, with rather wide leaves, and extensive branching out. The sativa showed it’s traits in a fairly lengthy stretch during the first few weeks of flowering. Easy to grow, and was very nutrient tolerant. Took doses that would burn anything else in my garden like a champ. Plant was nearly all bud, so trimming was a breeze. This was an amazing plant to grow. Seeds were from Joey Weed. Germinated 10 out of 10, with 100% females, and very little variation throughout. 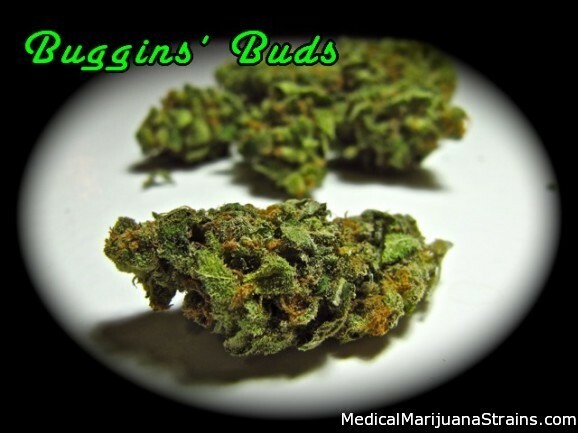 Good Strain For: Daytime pain management and appetite stimulation. Quite stimulating, so not so great for sleep, but certainly helps you relax and mellow out. Probably would be a good one for depression, as it really made me happy.